Etihad Airways, the national airline of the UAE, and Elenium, a leading provider of automation technology solutions, will together demonstrate how a newly developed voice activated self-service kiosk, bag drop and boarding gate facility will revolutionise the travel experience by taking facial recognition technology to new heights. The demonstration will take place at Passenger Terminal EXPO (PTE) in London between 26 - 28 March. Chinese courier giant SF Holding posted a 16.6 percent year-on-year decline in revenues from its express delivery business in February. India is mulling options to save jobs at Jet Airways India Ltd. including asking low-cost carrier SpiceJet Ltd. to consider taking over some of the debt-laden company's aircraft, people with knowledge of the matter said. Japan Airlines Co., Ltd., ("JAL") and Travelport Worldwide ("Travelport"), a leading travel technology company, today agreed to form a joint venture to take ownership of Travelport Japan K.K. 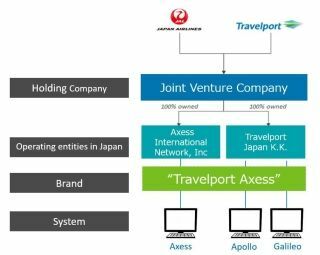 ("Travelport Japan") and JAL's 100% owned subsidiary, Axess International Network, Inc. ("Axess"). Under the unified Travelport Axess brand, the joint venture will operate a Global Distribution System (GDS) tailored to the needs of the Japanese travel industry. 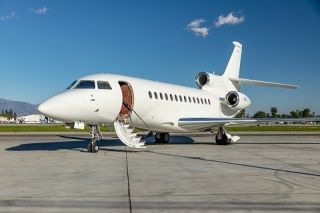 Planet Nine Private Air ("P9PA"), the Van Nuys, California based private charter operator and aircraft management company, announced today the addition of its fourth ultra long-range Dassault Falcon 7X aircraft to its Part 135 certificate. Malaysian low-cost carrier group AirAsia is looking to diversify its business and working towards being a tech and services company. Kuwait Airways Corp. is seeking a US$350 million loan that will help the Gulf carrier pay for planes, people with knowledge of the deal said. Jettainer, the leading international service partner for outsourced ULD management, welcomes American Airlines Cargo as a customer for its "Cool Management" service. The airline now has access to the 24/7 service of Jettainer's own Cool Center of Excellence in Abu Dhabi, which is specifically responsible for managing temperature-controlled ULDs. 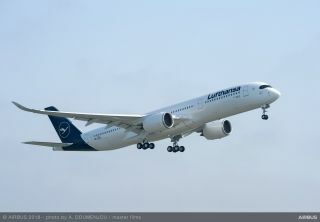 Lufthansa Group, the biggest Airbus operator, has signed an order for 20 additional A350-900 wide-body aircraft, following a decision by the company's supervisory board. This latest agreement brings Lufthansa Group's total orders for the A350 XWB to 45 with 12 aircraft already in operation around the world.